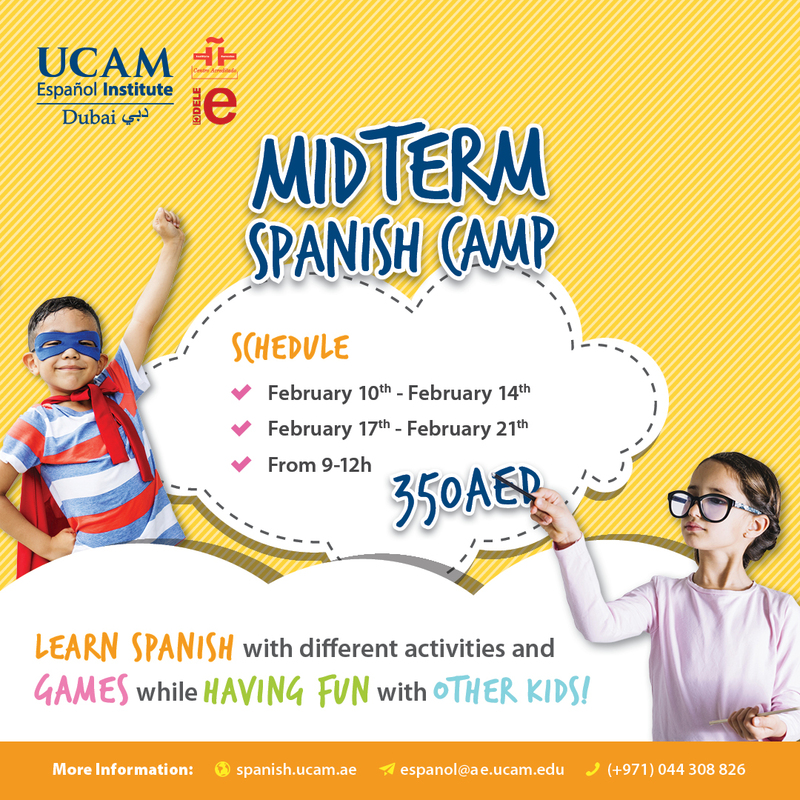 New Midterm Spanish Camp February 2019! Your children's midterm holidays are here! Have you already planned what are they going to do? How are they going to be entertained, learning something and having fun? - Content: Math, logistic, science, geography, arts and handcrafts, Spanish songs, painting, drawing, and traditional Spanish games. - Cost: AED 350 inc VAT. - Kids should bring a little snack. Still haven't heard about Spain at Global Village contest? Children: Welcome to UCAM Español Institute!